The original "veldtschoens" (Afrikaans for "bush shoes") or "vellies" of Africa accompanied the ox-wagons north. In those days, if you needed a pair of shoes you had to shoot a buck. 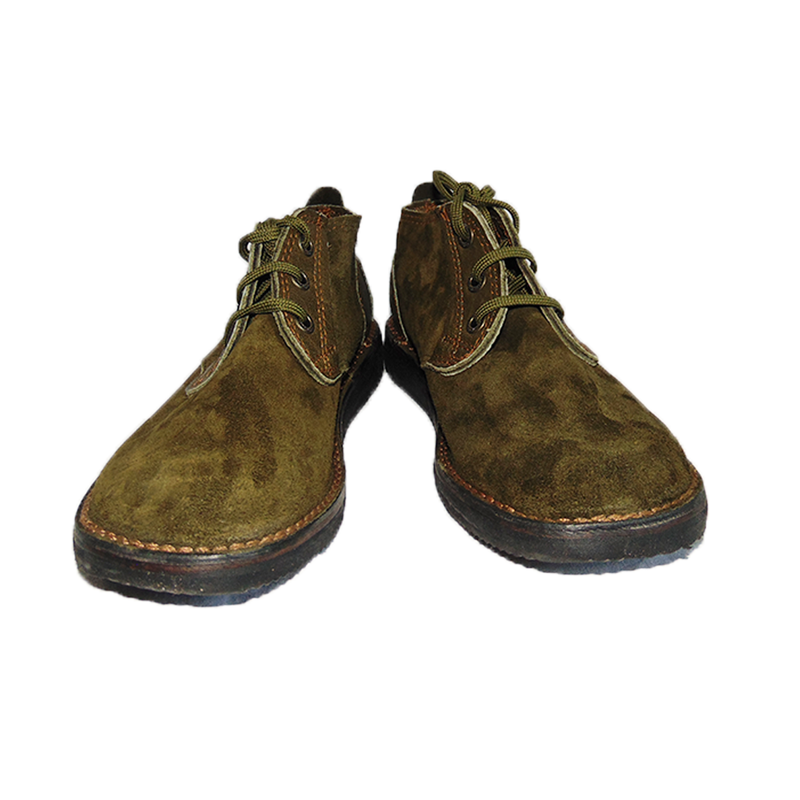 This simple, comfortable and timeless style became the classic World War II desert boot, and is known in the USA as a ‘buck’ or buckskin shoe. 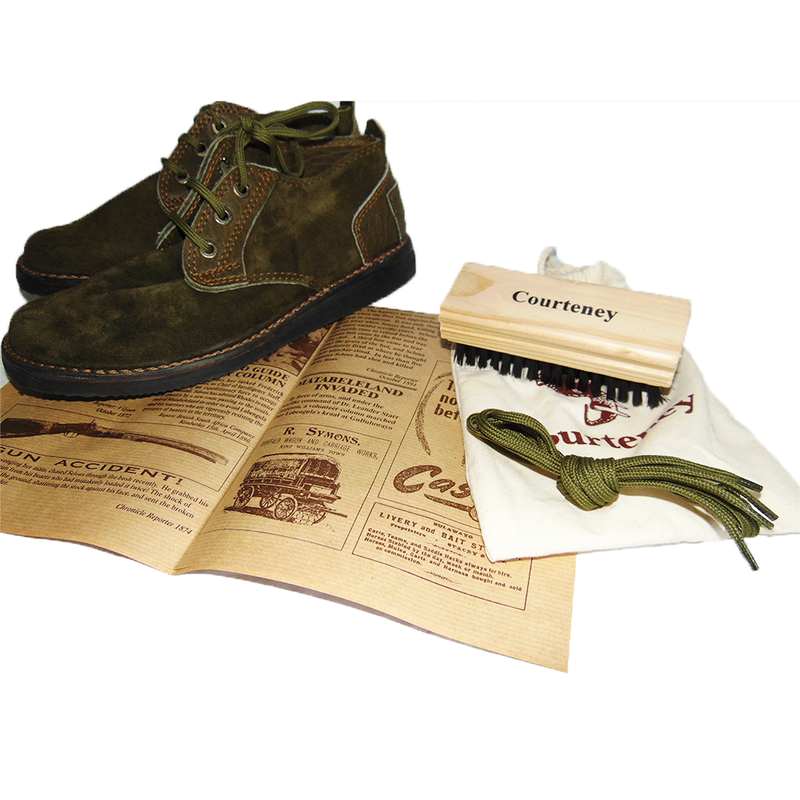 Variants of the shoe found immense popularity with Rhodesian Security Forces during the Bush War as a comfy shoe with a smooth, treadless sole that gave communist terrorists a hard time tracking them! 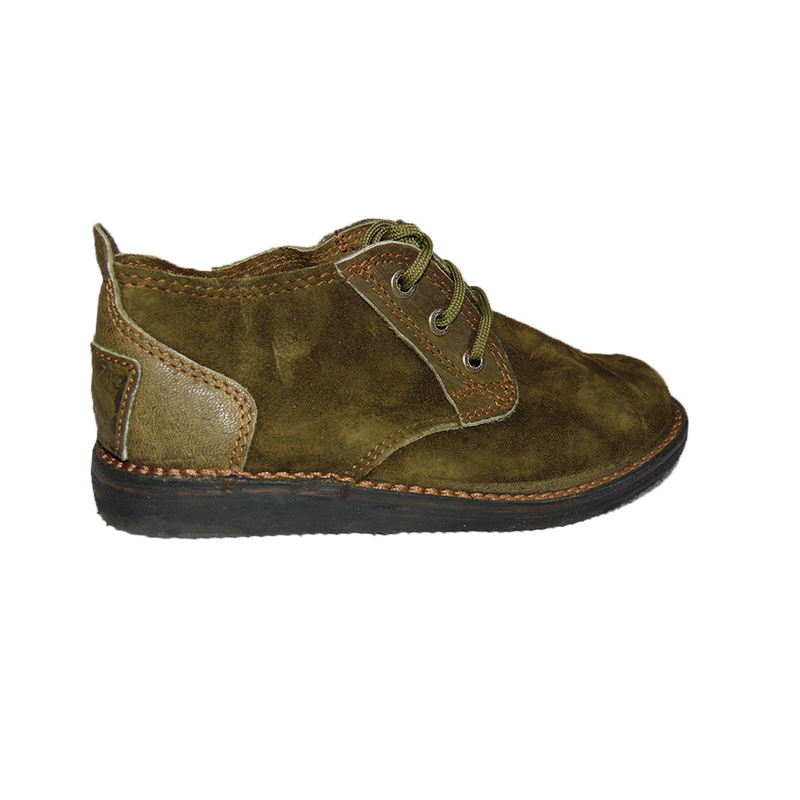 This handmade shoe is constructed using the time honoured stitchdown construction method, and made from Kudu leather, giving it flexibility and weather resistance. It also features a uniquely lightly treaded sole that gives you the best of both worlds in terms of grip, and anti-tracking capability. 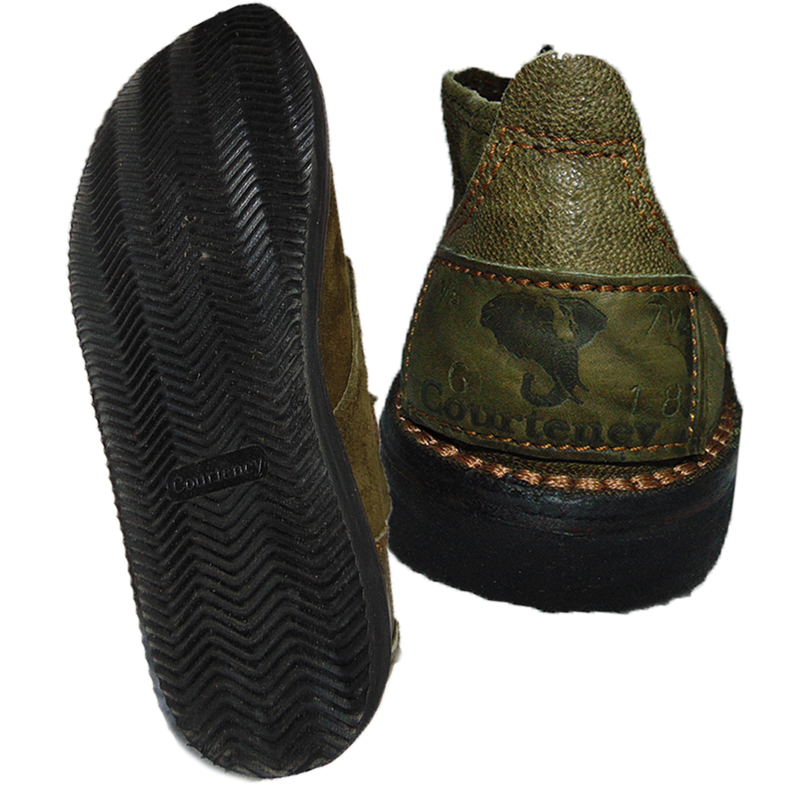 Courteney Boots also only utilizes legally hunted Kudu hide that has been thoroughly inspected by the Zimbabwe Parks and Wildlife Authority. Poachers don't get your cash, they get slotted! 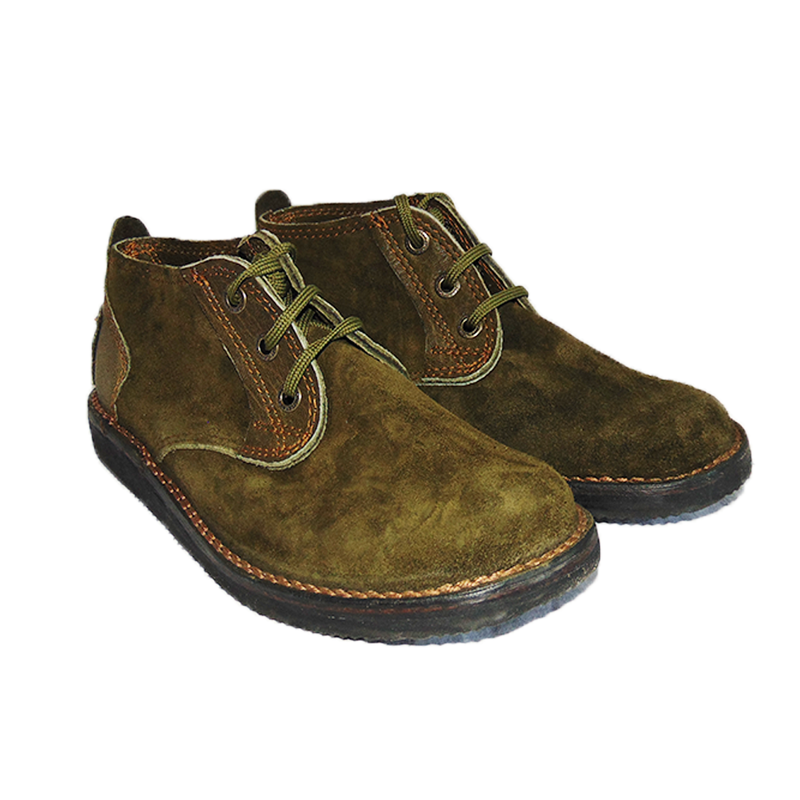 Note: If you are interested in a specific variation (i.e wide feet, material, leather composition etc.) or size of the Courteney Boot Vellies, we can try to fit in an order for you on a one-on-on basis via email at sales@fireforceventures.com. However, please be aware that this process can take several months as these vellies are made to order right out of Famona, Bulawayo and will be subject to an additional $20CAD charge via PayPal.